The Last Days of the Romanov Dancers, superbly crafted and told by Kerri Turner, is a first-class page-turner. It is one of those rare books that is impossible to put down with that intriguing dimension of involving you to such an extent that you can almost hear the sounds, feel the crowds’ emotions and smell the intoxicating scent of the flowers and perfumes worn by the amazing women on stage. In an almost recreation of the Romeo and Juliet theme, an impoverished younger male dancer, Luka, is thrown into a magical world of privilege, patronage and living on a scale he has never even dreamed of. The leading lady of the company, Valentina is made of sterner stuff. Having clawed her way up from the depths of poverty, she has no intention of losing her position, wealth and privilege for anyone. She relies on the age-old system of protection; her protectors are men who can afford to give her the wealth and security she craves. More importantly, they can influence her career and using their power, ensuring that the most desirable roles are hers. So why would she want to risk this for the love of a younger impoverished man? This amazing book is set against the backdrop of the last, lingering days of the Romanov Dynasty and the emerging might of the embryo United Soviet Socialist Republic. With overtones of the French Revolution, the author details the struggle and despair of the millions of working people who are literally starving and the horrible plight of the returning soldiers, who had been promised so much by their Tsar and received so little. It is a tale of extremes of lifestyle as if two parallel countries occupy the same space. The extreme wealth and excess of the elite and the mind-numbing, soul-destroying depths of the poor. We learn of people being killed for having a loaf of bread, and on the same page, the massive excess and indulgence of the super rich and powerful is portrayed. But at its core, it is the simple, age-old story of love. An older woman falling for the love of a star-struck younger man. Woven around all of this is the tale of a vibrant, competitive world of ballet – a world which still exists and that we can still relate to in this day. We also see a world in turmoil, one where looting, pillaging and death is a daily affair. The Last Days of the Romanov Dancers is brilliantly written and it really brings clarity to the terrible events of 1914 and the subsequent Revolution. It allows a glimpse into a world that we only know through our history books, and somehow Kerri Turner has brought this world alive. It is obvious from her intimate understanding of the world of ballet that Kerri Turner is a classically trained ballerina who has successfully combined the two very different worlds of dance and writing. For a debut novel, this one is a cracker. 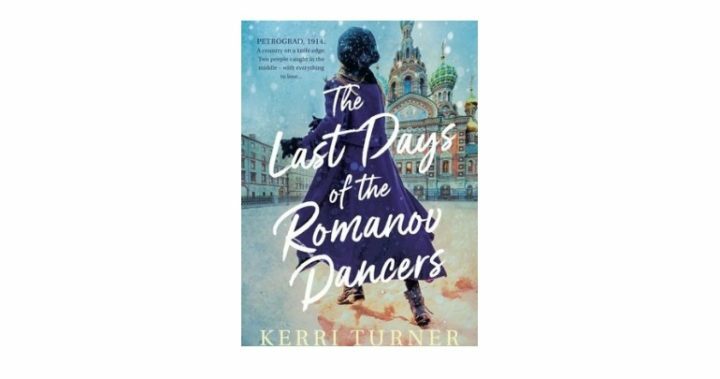 The Last Days of the Romanov Dancers by Kerri Turner, due for release on 21 January 2019, is available from the publishers, HQ Fiction in printed or digital editions.